Decluttering | Welcome to Prints on Purpose! The holy grail of independence seems to be at the top (or close to it) of the list of qualities in which Americans take pride. I’ve observed, in others and in myself, this cultural stance of the nobility of doing it all, doing it alone, and preferably doing it without complaining about it. I remember a television advertisement from my childhood. It was an ad for Anacin, and showed a young woman coming completely unglued when her mother suggested adding some salt to a cooking pot. 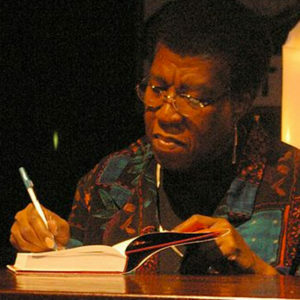 The daughter turns and shrieks, “Mother, please! I’d rather do it myself! !” This outburst was caused by the daughter’s tension headache, which the advertised pain reliever would allegedly cure. This little drama was manufactured to sell a product. But it does raise a niggling question: How often are we willing to admit that we can’t do it ourselves? I’m a do-it-yourselfer for a couple of reasons. The first, more lofty reason, is that I honestly do like to learn new things. I’m a perennial student. Being able to tackle a project and create something I didn’t know how to create before is exciting and fulfilling. The second reason is that I feel guilty paying someone else to do something I know I can do (or can learn to do) for myself. For example, I never felt comfortable having someone come in to clean my house, even when I left for work at 7:00 a.m., got home at 7:00 p.m., and had young children. And after years of spending precious Saturdays mowing and trimming the lawn, we finally hired a gardener to come once a week. Our neighbors, I’m sure, were grateful, because we didn’t always spend those Saturdays on yard work, and it showed. Independence is all well and good, but there are times when it is so much more effective to enlist the support of others. That has been the case for me when it comes to coping with Project Downsize. Really getting a handle on my possessions, discerning which to keep and which to release, can be an emotional minefield. And this is where support has come to the rescue. Co-facilitating our KMI Master Mind, Creative Clutter Clearing, has been a huge help in navigating this overarching change in lifestyle. Even though, as a facilitator, I don’t spend time having my particular issues brainstormed, every participant’s issues and insights help me with mine. This is the brilliance and beauty of a Master Mind. Our next session starts tomorrow, September 29th. If you can use some support and accountability in the quest to manage your clutter, please click on the link above and join us! 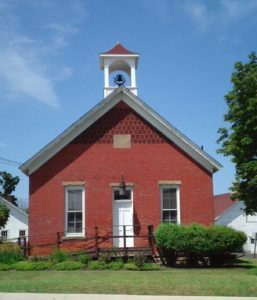 This entry was posted in Navigating Change and tagged Collaboration, Creativity, Decluttering, Downsizing, Initiating Change, Support, Transitions on September 28, 2016 by Donna Mills. This quote absolutely sang to my soul. As a person who is in the School of Wisdom, for whom decision-making can be angst-ridden to the nth degree, habit is a godsend. It eliminates the need to deliberately think about every action I take. We all have basic habits, such as brushing our teeth, or exercising, or walking the dog before breakfast. For me, some of those habits were drilled into me as a child, and I haven’t really thought about them since. 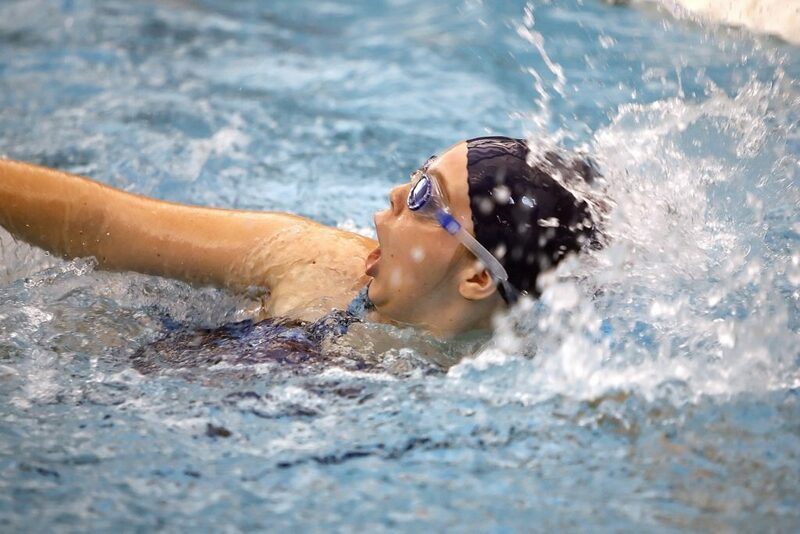 Others, such as exercising, are the result of a deliberate choice. Making exercise a habit means I don’t stop and think about whether or not to do it every day. It’s just part of the program. But I can easily slip into some less-than-helpful habits, too. These aren’t habits that I have deliberately chosen, and practiced until they have become automatic. They are the easy-way-around habits, such as diddling on Facebook rather than painting. Replacing such a ‘lazy/comfort’ habit with something more meaningful requires me to think, choose, act, and repeat. Repeat until that deliberate choice becomes automatic. Thinking and choosing, taking small steps in the right direction, then taking those steps over and over again, has been helping me create new habits around one of my concerns of long standing: managing my clutter. If clutter is an issue for you, too, master coach extraordinaire Mary McDowall and I have created a unique way to approach your habits as they relate to your stuff—our upcoming KMI Master Mind, Creative Clutter Clearing: 10 C’s to Move You from Chaos to Calm. You can learn more about it here. This Master Mind can create a life-altering transformation of your relationship with your possessions. It’s supportive, filled with tips and tools, and it’s actually fun. Oh, and there are some impressive early bird goodies if you register by Friday, September 23rd! This entry was posted in Navigating Change and tagged Action, Collaboration, Creativity, Decluttering, Initiating Change, Life School, Processes, School of Wisdom, Support, Systems, Transitions on September 21, 2016 by Donna Mills. Several weeks ago, I took a look at the topic of awareness in the context of some serious social issues—sexism and racism. This led me to thinking about awareness in my everyday life. These homes were ‘staged’ to show off each house to its best advantage. Surfaces were clean and clear, walls were freshly painted, faucets and fittings were brightly polished, and accessories and paintings were artfully scattered about. We’d grab an information sheet, stroll through the rooms, and try to imagine ourselves living in that space. After these open house visits, it was always a faint surprise to come home. We would look at our own surfaces, walls, faucets, fittings, and accessories. And our own kitchen, floors, and artwork. It was a time of both appreciation and mild horror. In all of our open house visits, I never found a kitchen, coved ceilings, or hardwood floors—indeed, a house in general—that I liked better than my own. However, I also saw, with newly critical eyes, the shortcomings in our home—chipped paint, smudges on the cabinets, and cluttered drawers and countertops. After looking with dispassionate eyes at all of those houses for sale, I wondered what someone walking through my house would think. It can be a challenge for me to back up and look at my own home with objectivity, especially when it comes to my possessions. To address that issue, this spring, my business colleague, Mary McDowall, and I created and facilitated a clutter clearing mastermind. It’s based on the unique KMI model, which combines personalized attention with the Kaizen philosophy of small steps to big changes. That mastermind experience has gradually shifted the way I deal with my stuff. The tools, resources, and group interaction the mastermind provided gave me the push I needed. It was a gentle nudge towards creating an environment that suits me. And as a co-facilitator, my issues weren’t even directly addressed! Such is the power (and collective benefit) of this process. If clutter is an issue for you, I invite you to explore our KMI Mastermind, Creative Clutter Clearing: 10 C’s to Move You from Chaos to Calm. You can check it out here. This entry was posted in Navigating Change and tagged Collaboration, Creativity, Decluttering, Initiating Change, Inspiration, Process, Transitions on September 13, 2016 by Donna Mills. The Olympics are over now, put to bed with a grand finale on Sunday evening. Last week, as I was scrolling through my Facebook feed, those same Olympics prompted several posts about sexism in sports reporting. One post included a satire of the way Michael Phelps’ accomplishments would have been described had he been a female. The focus was on his marital status, his quick return to swimming following the birth of his baby, time thus spent away from his baby, the support he received from his family, and his classification as ‘arm candy.’ The article was short on references to strength, determination, commitment or sacrifice—the basics required of every Olympic athlete. The article was well done, very funny, and it did a great job of emphasizing the way men and women are perceived in a sports venue. On the serious side, when Hungarian swimmer Katinka Hosszú crushed the world record in a gold-medal performance, an NBC commentator said, “And there’s the man responsible—her husband and coach!” The camera panned to a man in a green shirt cheering and raising his fists to the sky. I was watching that event. I heard that comment. And I’m embarrassed to admit that it didn’t register as the “Are you kidding me?” comment that it actually was. 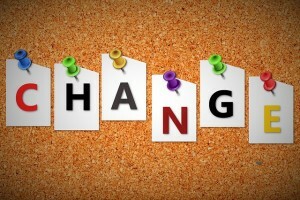 Before we can change anything, we have to be conscious of the need for that change. A friend told me last week that in the sixties (1960’s, not 1860’s), the public swimming pools in Los Angeles were open for white people on Days 1-4, for Latinos on Day 5, and for African Americans on Day 6. The pool was then drained and refilled on Day 7. The fact that people could be bamboozled into viewing such conditions as routine, as appropriate, just astonishes me. Yet, in truth, we do tend to accept the way things are, without examining them too closely. What’s known, familiar, and comfortable tends to persist—unless we become aware that change is in order. And those changes don’t need to be as important as battling sexism or racism. For me, it was literally putting on my glasses and looking at my kitchen counters. Yikes! Where did all those splats and spots come from? How about you? What areas of your life might you view with a new set of eyes? This entry was posted in Navigating Change and tagged Beliefs, Decluttering, Initiating Change, Inspiration, Processes, Transitions on August 25, 2016 by Donna Mills. Business writing, of course, consists of educational articles and blog posts, all of the verbiage that I create to populate my website, and emails and courses that have to do with my work as a creativity coach, hand analyst and mastermind facilitator. Personal writing, on the other hand, encompasses journaling, self-reflection, descriptions of things I’ve seen that I want to remember, the random essay on something I feel strongly about, personal emails, and even the old-fashioned thank you note. Personal writing is more, well, personal. Then it struck me that maybe these two parts of my writing (and my life) aren’t really that separate and distinct. The reason I do the work that I do is the same reason that I journal or touch base with friends or relatives—I want to connect. I want authentic relationships, both with my internal self and with other people. All of my writing is, at its most basic level, an attempt to communicate. Even when I’m describing our upcoming clutter clearing mastermind, the point of that communication is to let the people who have a need for this service know it’s available if they’d like to participate. Is that communication less valuable, more crass, than a personal journal entry exploring my own feelings about my (possibly) extraneous possessions? All of the seeds we carry in our hearts can become flowers. 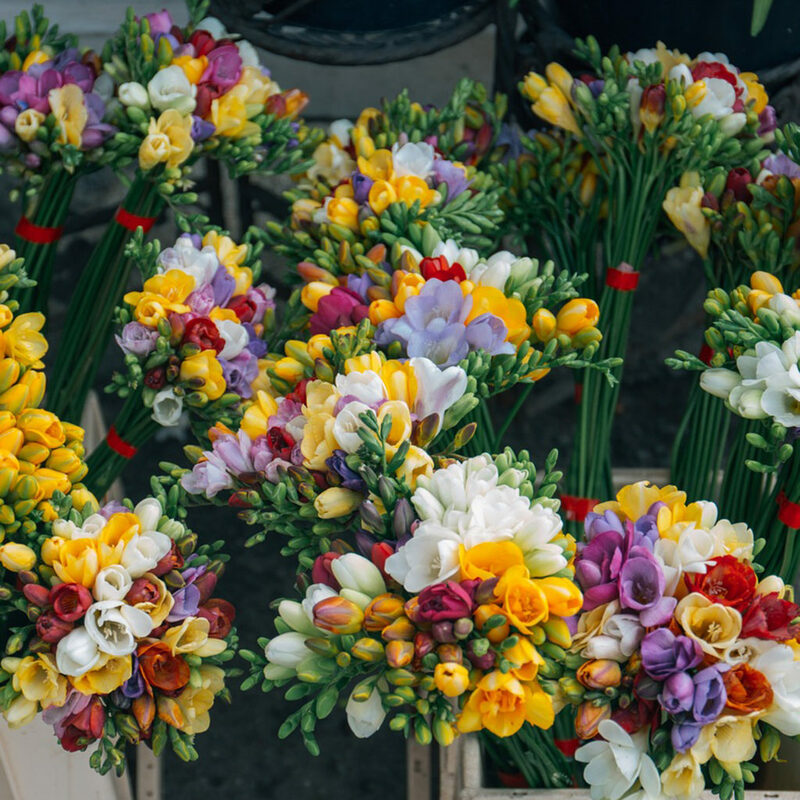 It doesn’t matter if the flower is a rose or an orchid or an amaryllis. Each has its own form of beauty, and each is worthy of cultivating, growing and sharing. What seeds are lying dormant deep in your heart? What flowers might those seeds bring forth? This entry was posted in Navigating Change and tagged Beliefs, Connection, Decluttering, Exploration, Inspiration, Processes, Transitions on August 17, 2016 by Donna Mills. Once upon a time, I did a lot of sewing—garments for myself, my children, wedding dresses for my daughter-in-law and my sister-in-law. All of that clothing construction meant a lot of fabric, a massive variety of trims, fastenings, elastic, interfacing, zippers…. Now, I spend more time drawing and painting than sewing. Canvases, watercolor blocks, drawing pads, paints, brushes, palettes, pastels, charcoal, markers…. 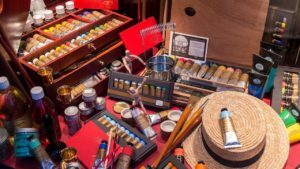 And, as I was pondering in my post on downsizing, I’m wondering about how to (and whether to) pare down my creative supplies. Since my business partner and I are presenting a clutter clearing mastermind circle (email me to learn more), my coach asked me today what benefits come from clutter clearing. The first, and most obvious for me, is that I can find what I’m looking for. On more than one occasion, I’ve gone out and bought something I knew I had (somewhere), simply because trying to find it took more time and energy than a trip to the store did. Another benefit is easier access to the things I do have—no more pawing through, lifting down, and shoving aside in order to grab what I need. A third is that the clothes I actually wear don’t get crushed and wrinkly, smashed between a lot of unworn garments in the closet. But how does all this apply to my ‘creative stuff’? The editor of Threads magazine (a fabulous sewing journal) addressed this question in an editorial a couple of months ago. Are our sewing supplies —that fabric stash, those old patterns, that once-in-a-blue-moon specialty tool — actually clutter? And how about our art supplies? When I stop to think about it, those artsy items need organization, so I can find what I want when I want it, can know they’re accessible, and can keep them in good repair. But the clutter clearing criteria I may use for cleaning out my closet or my overloaded kitchen gadget drawer don’t apply to the tools of my artistic trade. Those tools are creative fodder. They inspire. 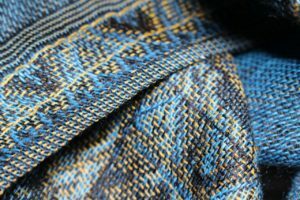 Even when that piece of vintage fabric isn’t, right now, finding its way into a new skirt, it holds potential and possibility. It’s a reminder of how and why I got involved in sewing in the first place, and it draws me back to this particular form of creative expression. I believe artistic tools of all types have that potential, and we need some flexibility when it comes to discarding them. When they overwhelm, they need some weeding-out attention. But for me, clearing my ‘creative clutter’ falls into a category (and a process) all its own. How about you? Do you see your creative supplies as ‘general clutter,’ or do they merit a classification that’s unique? 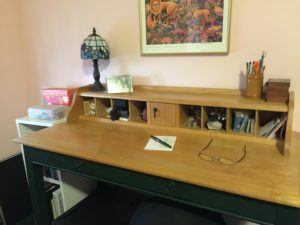 This entry was posted in Navigating Change and tagged Collaboration, Decluttering, Downsizing, Processes, Support, Systems, Transitions on May 18, 2016 by Donna Mills. In my last post I mentioned taking a look at how clutter clearing might relate to Life School. So what does ‘Life School’ mean? All of us are challenged to grow in each of these four areas, but your fingerprint patterns reveal which one or two of these need more attention. Looking at clutter clearing through the lens of Life School helped me to see what my challenges would likely be. I have two Life Schools—Wisdom and Love. A big lesson in the School of Wisdom is learning to make decisions. Wisdom folks want to be right, want to have lots of options all the time, and use the ‘need’ for more and more information as an excuse to avoid that leap off the diving board. So I realize that the pressure to make the ‘right decision’ when it comes to clearing my clutter makes it difficult to decide to let things go. In the School of Love, the main lesson is emotional authenticity—learning to feel what I’m really feeling and expressing it appropriately, so I can have warm, sincere connections with others. Those loving connections can make it hard for me to let go of items that people I care about have given me. It feels as though giving away that godawful swirly candy dish means rejecting the person who gave it to me (a person I love very much). This awareness of the pitfalls inherent in my Life Schools is a good example of that old saying, “Forewarned is forearmed.” By knowing the challenges that will prove most difficult for me, I can look ahead and seek solutions to those specific issues. And, as I mentioned in my last post on downsizing, our KMI Master Mind, The 10 C’s of Creative Clutter Clearing, is coming up. If working with a group on this sometimes sticky issue would be helpful for you, please contact me and I’ll send you the details! This entry was posted in Navigating Change and tagged Decluttering, Initiating Change, Life School, Processes, Resources, Support, Transitions on April 27, 2016 by Donna Mills. For quite a while now, I’ve been thinking about downsizing. 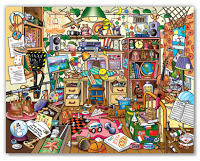 Clutter has always been a bit of a challenge for me. My home isn’t overrun with items covering every available surface. That said, the closets, shelves and drawers that were empty when we moved to this house 28 years ago have managed to attract enough stuff to more than fill them (and we’ve added a considerable number of storage spaces along the way). So I began to explore different methods of dealing with my possessions. The KonMari method, which is very popular right now, tells me to put every item I own of a specific type in a pile on the floor, then pick up each item and ask myself if the item gives me joy. If the answer is “yes,” the item is a keeper. If the answer is “no,” it goes into a garbage bag for removal from my space. Based on Amazon reviews of the book, The Life-Changing Magic of Tidying Up: The Japanese Art of Decluttering and Organizing, the method works amazingly well for the many who have used it. That said, just the thought of pulling every item of clothing I own out of closets and drawers feels crushingly overwhelming. It literally stops me in my tracks. 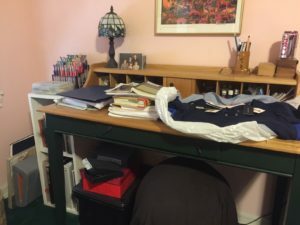 So I investigated a number of other clutter clearing/downsizing methodologies. During this investigation, one truth stood out—it’s not really about the stuff. It’s about my own mindset, my own habit patterns, and the way I work best. This led me to think about how my clutter clearing might relate to my Life School, and how I would most naturally work towards the downsizing goal in a way that would be effective, rather than overwhelming, for me. I’ll be exploring those ideas in a little more detail in an upcoming post. But for right now, one thing I know is that (even though I’m an introvert) I am much more inclined to tackle a challenging task if I have real, live support around me. And that led to a conversation with my business partner, Mary McDowall, a Master Kaizen-Muse Creativity Coach, and one of the creators of the KMI Master Mind. I’m a certified Kaizen-Muse Creativity Coach, too, as well as a newly-minted KMI Master Mind facilitator (yet another story for another day). Rather than creating yet another course or writing yet another book about clutter clearing, why not approach the challenge from the perspective of a creative masterminding circle? Using a format that allows me to combine the concept of Kaizen* with the creative spark and support of a group of women who are also downsizing? 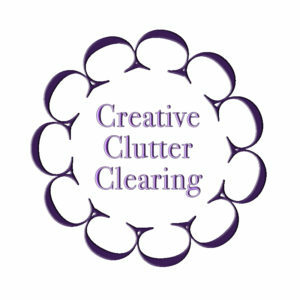 So—Mary and I are busily putting the finishing touches on The 10 C’s of Creative Clutter Clearing. 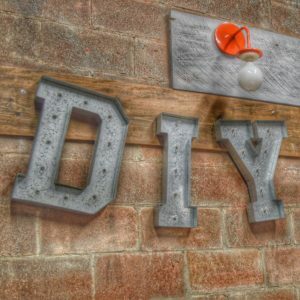 This entry was posted in Navigating Change and tagged Collaboration, Decluttering, Life School, Processes, Resources, Support, Transitions on April 20, 2016 by Donna Mills. There is a chance of a big life change in the offing for me, and looking for ways to make this change interesting, I began to look at what positive feelings I have about it. And what came up was the ‘clean slate’ idea that change can bring. And then the answer comes—I can do this right now! I don’t have to wait for someone else to give me permission, or for circumstances to create that space for a new beginning. It is all under my own control, and I can make the choice to create (or recreate) my life to match whatever vision I design. This is the power of creativity. What life changes would you like to make? You do have permission to make them, you know. And if you didn’t think you had it before, rest assured that you have it now! This entry was posted in Navigating Change and tagged Beliefs, Creativity, Decluttering, Initiating Change, Life Purpose, Transitions on April 13, 2016 by Donna Mills.